If you make a roast, making Yorkshire pudding is a must. Easy to make this pop over like bread captures the delicious of your roast into a side dish. Yorkshire pudding uses so few ingredients and then tastes so good. I promise once you make one of these, they will be a regular addition to when you make roast. 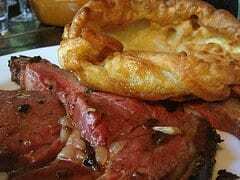 You can make delicious Yorkshire pudding at home with our recipe. Preheat oven to 450 degrees, and pour beef drippings into a pan, and place into oven and allow to get very hot. Combine the remaining ingredients in a bowl with a mixer. Pour batter into hot pan, and place back in the oven for about 20 to 25 minutes. Cut into squares, and serve immediately with roast. I left “Fareham” in Hampshire in 1979 but today I am going to try my Yorkshire pudding in a muffin pan with my roast…hope it turns out good. i am not from England and i tried the recipe and used the muffin tin and it was AWESOME!!!!!! GREAT RECIPE!!!! Alas, my guest, you can use any pan you like. The darker metal pans make better yorkshire pudding in my humble opinion. My roast is in the oven now and I, too, thought I’d try Yorkshire pudding with it. I’ve always wanted to make Yorkshire pudding but never have. Well, today is the day, and your recipe is the one I’ve decided on. I have to say, I also wondered about the pan and thought your response to guest guy was a little off-putting. It would be helpful to your readers if you would suggest a pan to use. Even though I am an experienced cook, I really wasn’t sure what size or shape pan would work best. And as guest guy said, the gorgeous photo does not reflect the directions given in the recipe–the recipe says to cut the finished pudding into squares, but the photo shows round pudding as though it were made in muffin tins(?). Unfortunately, this offers no help to your readers who like me were hoping for some guidance. 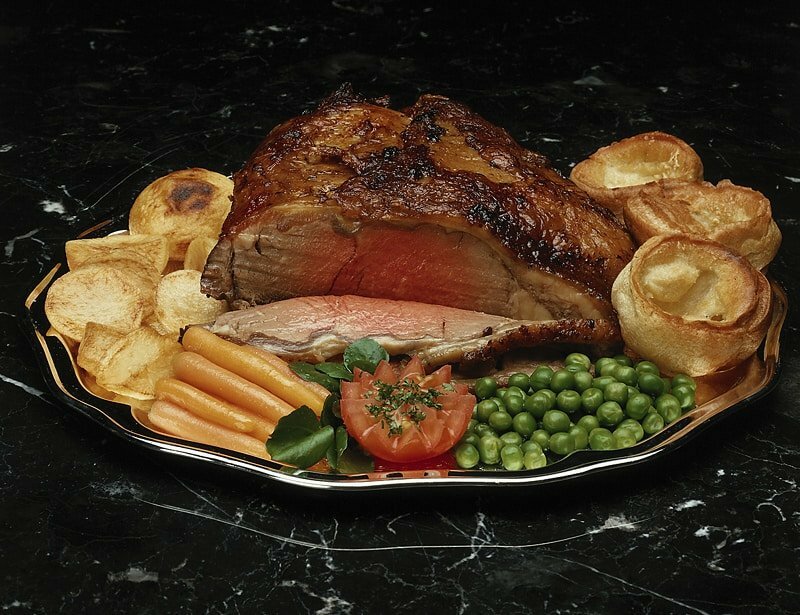 That said, the roast smells heavenly and I do look forward to it and the pudding. You are right, I gave a crummy response. I will try to reshoot the photo for the recipe very soon. Follow up: Stephanie, the roast and Yorkshire pudding were delicious. I made the pudding in a dark metal 13″x9″x2″ pan and it was perfect. My Mom always made Yorkshire pudding in a muffin tin – they come out just like popovers – yummy!